They say you shouldn’t paint yourself into a corner. In my opinion this is what the NBA and Lebron James has done to themselves. The NBA in their infinite wisdom allowed a second season to be incomplete in 13 years so now another season has a permanent cloud of, “well they didn’t play a whole season.” In sports this kinda stuff matters. Especially if you are trying to be the best pro sports league or the great king -an all. In 2012 the Miami Heat won 46 games and lost 20. *only 66 games. In 2011 the Miami Heat won 58 games and lost 24. 82 games. The sun is now setting on Kobe’s career and its clear that the MJ comparison contest is far beyond his reach. MJ remains incomparable unless your talking about Wilt Chamberlain. although Kobe is now under consideration for being the greatest Laker of all time. I don’t know how he’ll beat out Magic/Kareem/Shaq for that title though. The point is none of the greats had to worry about asterisks in their titles. 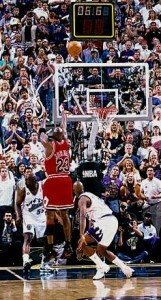 MJ won 6 and is a legend with no question marks about this or about that (no Bryron Russell). Kobe and Dewayne Wade did the same with Shaq. Now Lebron who wants to be a peer of the greatest of the greats enters. I predict he will get his first NBA championship this year but it’s almost like it doesn’t count as much as it should or could. You and I both know that those 16 regular season games make a difference. How many players get ingured in 16 games? That’s a fifth, 20% of the regular season. Some may say its no big difference what if you could take 20% of the days you where schedule to work off? It would be a huge deal to you wouldn’t it? 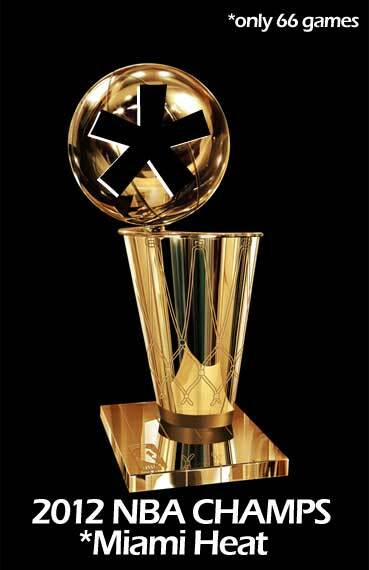 So now Lebron who will win this year will immediately get critisized for not winning a full regular season title. This is what he wants though. It is he and his representation that is responsible for this meme of “Lebron James most criticized player ever.” Lets be real about it. Lebron has some highlights but unless he admits to throwing the previos Final apperances he has deserved all of the critisism he gets. Do you know how much money he is making? Not to mention that he walks around calling himself the KING. Come on man you’re not the KING until you win 9. So far you don’t even have a whole NBA title and you can’t get one until NEXT YEAR. What do you think? ‹ Have we learned from Rodney King?